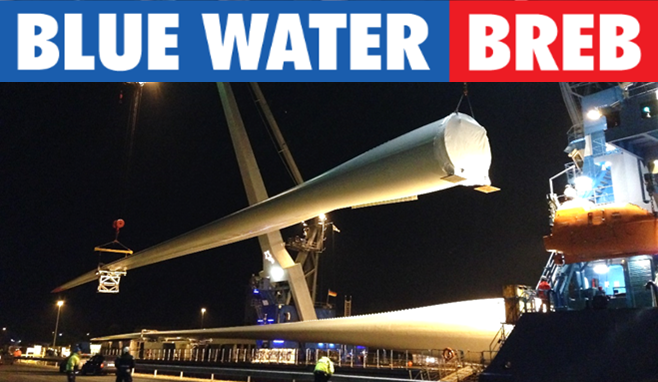 Blue Water BREB handled three of the world´s longest rotor blades in Bremerhaven, Germany. The blades were produced by LM Wind Power and are 88.4 metres long. The total weight of each blade is approximately 34 tons. It is the first time ever that blades of this length have been transported by sea. Blue Water Shipping chartered the open deck carrier M/V “Meri” from Meriaura Ltd for the voyage between Esbjerg and Bremerhaven and executed the loading operation in Esbjerg. Blue Water BREB took over in Bremerhaven, planed, organized and carried out the discharging, which was a complex twin- lift operation with two floating cranes operating as one unit to place the blades on a specific quay with shallow water. 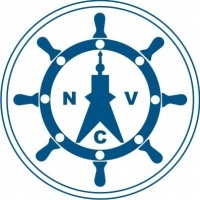 The entire operation was executed under time pressure and stormy weather within the customer’s deadline.